All dates and times are subject to change depending on weather forecasts and conditions, please see the website for the latest information and news. We will acknowledge a 2 Minute pause outside the Christ Church in The High Street at 11:00am for Remembrance Sunday. The Former Thorns Inn, Thorns Road, Brierley Hill, DY5 2JY. Please join us in the bar of The New Inn Cherry Street Stourbridge at 7pm this Sunday 7th September for our planning meeting. Everyone will be very welcome to join in with suggestions and ideas. 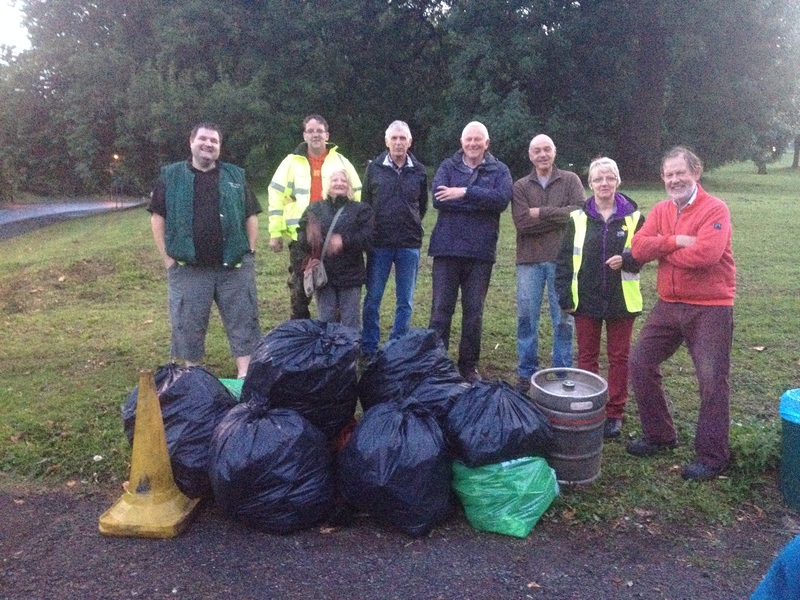 Our last Pick’n’Pint of this summer took us around Wollescote Park on August 20th. Unseasonably cold weather greeted the team at 7pm, but before we could get started a 15 minute torrent came down and the trees became our shelter until it passed over. 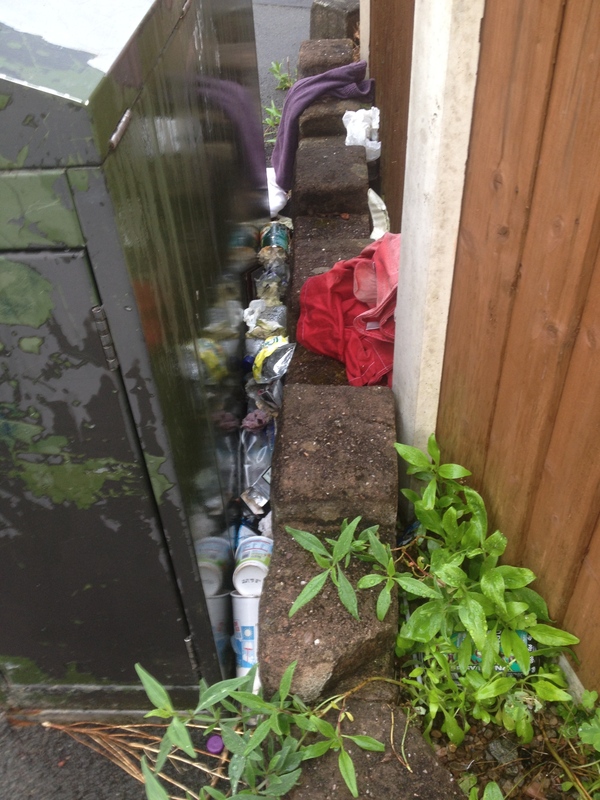 The team of 10 spread out in three directions from the car park, the usual rubbish was collected in a dozen sacks or so, what was noticed was that the voids behind green boxes were still not being cleared out by the authorities and years of filth had built up . We now have our Winter Planning Meeting on Sunday 7th September at 7pm in The New Inn Cherry Street Stourbridge, all welcomed to attend. 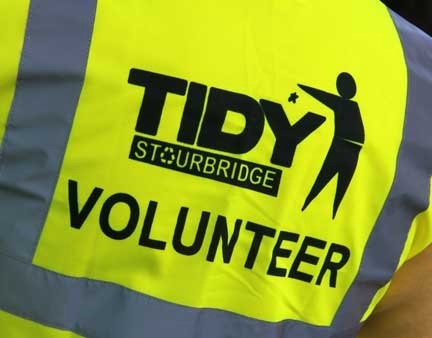 Tidy Stourbridge is a ‘bottom up’, ‘grass roots’ community volunteer group. As a result, we are skint! We have no money. Anchor Promotions has kindly designed a logo for us. Alison Barton Photography has provided images for use on our website. 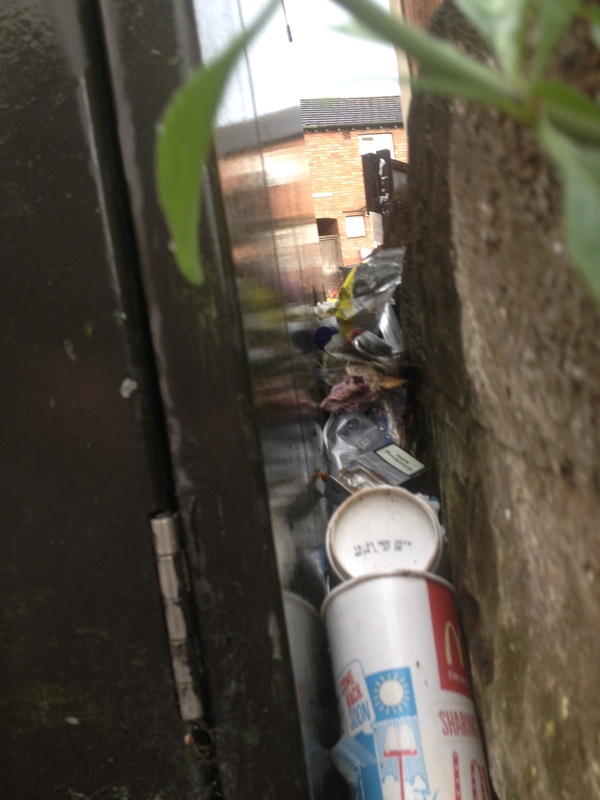 Alun has provided TidyStourbridge with hoops to hold open rubbish bags. 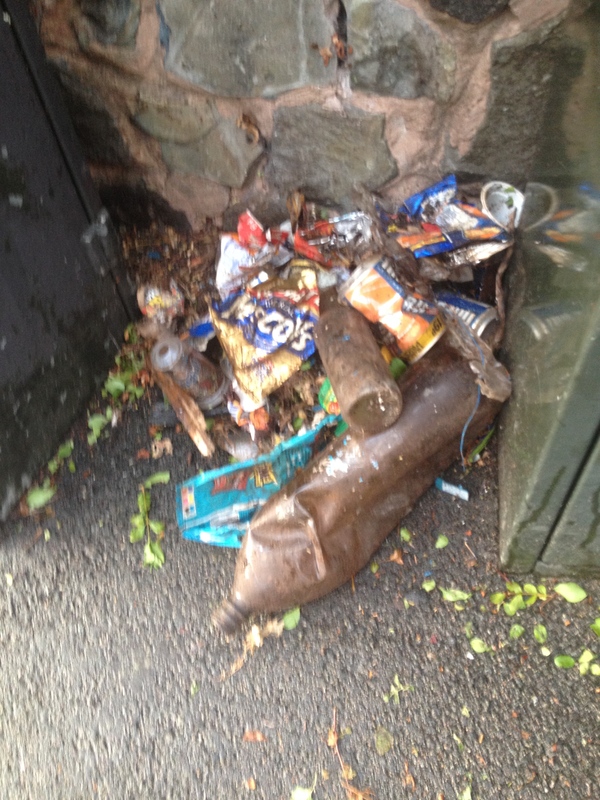 Keep Britain Tidy provides Big Tidy Up bags. Our thanks to all of them.